Always wash your hands with soap before taking meals. Hands must be washed with soap after using the toilet even you are not going for meals. Eating from unhygienic places is obviously not desirable. Personal care items of infected person i.e. tooth brush, shaving blade, towel, handkerchief etc. should not be used by others. Use boiled water as far as possible. Avoid sexual contact with infected person. Using used syringe for any injection can be very dangerous. You must avoid them. Receiving blood from habitual donors can put you at a very high risk. Never donate blood if you are infected. If you are considering body piercing like nose and ears etc, think of the risk involved. Keep your diet balanced and avoid overeating. Modern medical system has the vaccine for protection against Hepatitis B but once a person is affected and becomes HBV+, the vaccination becomes ineffective. So have the vaccination done before the infection takes place. There is no preventive vaccine yet for hepatitis C.
Persistent anger, mental tension, worries and sadness also provoke Hepatitis. Try to remain cheerful. If you live in or happen to visit high risk areas, consider vaccination for Hepatitis B. Even if you have been vaccinated, do not lose sight of preventive measures. Modern medical system does not consider Hepatitis B curable but they have the treatment for hepatitis C, which is very expensive though. The medicines used to treat hepatitis C are said to have significant side effects as well. The success rate is also not very appreciable. While treating hepatitis, the entire focus of modern science is on killing the virus, not on stopping its production and multiplication, which frequently leads to ineffectiveness (failure) of the treatment. Unless generation of new virus is checked and the viral load is reduced to zero, the disease should not be considered cured. With viral load anything above zero, chances of the disease popping up once again cannot be ruled out. At times a person may be HCV+ but he/she is not advised to commence the treatment on the plea that the virus is inactive. Homeopathy has plenty of medicines to cure hepatitis. However, if hepatitis has already aggravated to the stage where ascites has set in, the treatment becomes extremely difficult and the chances of cure become remote. Hepatitis whether B or C is curable before that stage. Therefore, the treatment must be started as soon as possible. Treatment of Hepatitis C through modern medical system takes around 6 months. 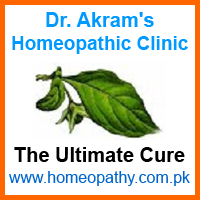 With homeopathic treatment, it may take anywhere from 4 to 6 months for complete cure depending on the stage of the disease. The process of treatment of hepatitis is such that it cannot be done in short time. Since liver and gall bladder cannot be removed, washed and refitted, the process of cure through medicines has to take time, no matter which treatment system you choose. So be patient and continue the treatment according to the advice of your doctor.